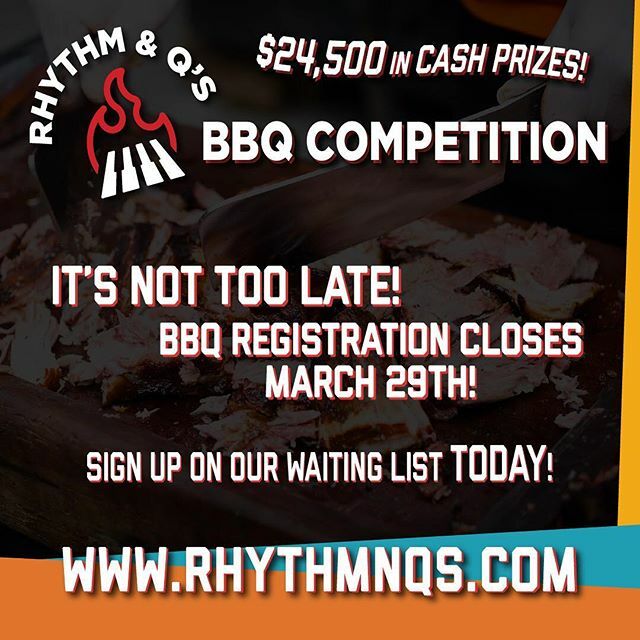 With $24,500 up for grabs, the Rhythm & Q’s BBQ Competition offers one of the largest prize purses in the SC Barbeque Association and the largest TOP cash prize in the state for competition BBQ! 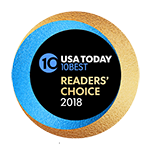 Sanctioned by the South Carolina Barbeque Association, the BBQ competition will feature 33 of the best BBQ cook teams in the south ready to strut their stuff on the grill with wings, ribs & Boston butts. 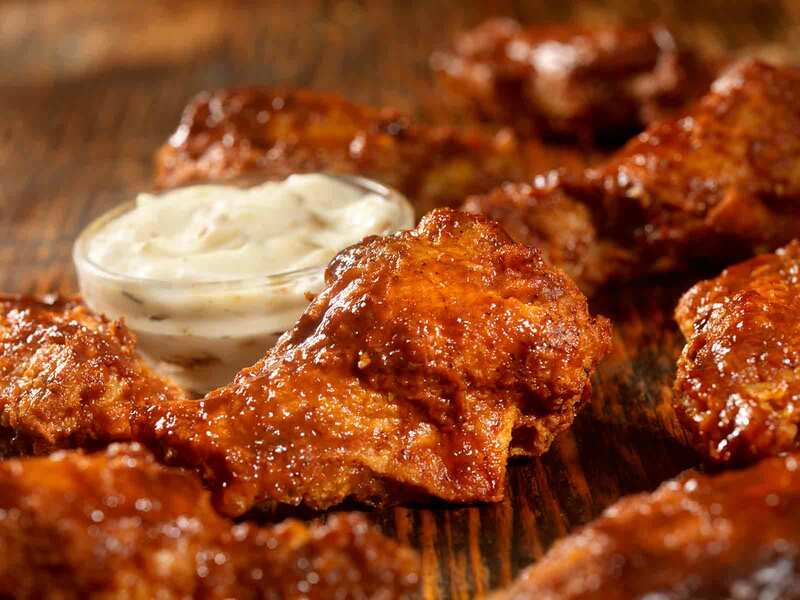 Competition begins on Friday, October 18, at the WING DING Chicken Wing Cook Off. 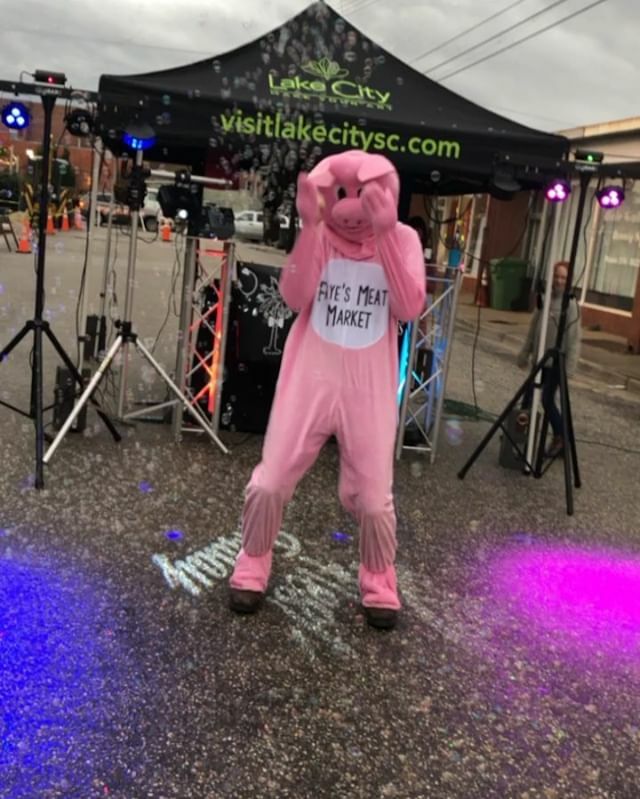 Provided with 40 pounds of quality chicken wings, competition teams will cook, sauce, and present their best BBQ wings to local Lake City officials for judging to determine the WING DING WINNER. Another crew of judges will be strolling the grounds as well. Local designers will be checking out each & every cook site to determine which BBQ team will earn THE SHOWMANSHIP AWARD + $1000 cash prize for their superior site decoration skills! ALL results will be announced at the Official Awards Ceremony on Saturday night. Teams will proudly offer their wings to festival attendees on Friday, October 18 from 6:00pm – 10:00pm inside Festival Park at The ROB. Tickets may be purchased at the MAIN GATE for $1 per ticket, 1 ticket per wing. 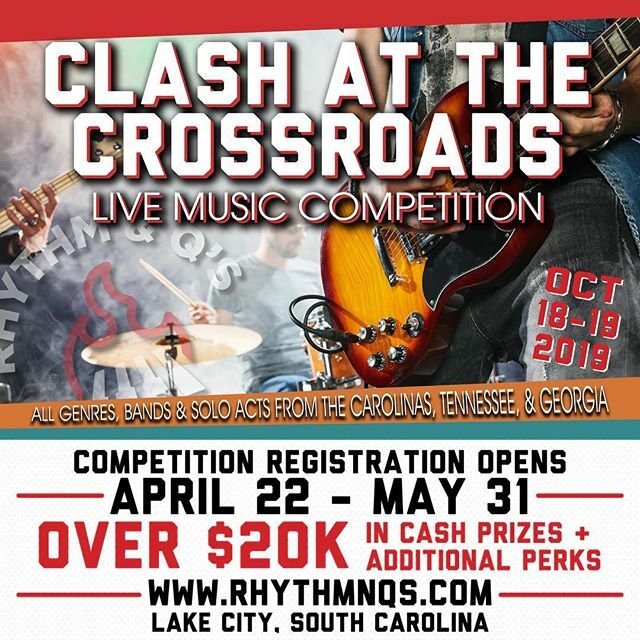 As the BBQ Competition begins to wind DOWN, The Clash at the Crossroads Live Music Competition begins to crank UP! Competition performances run from 1:00pm – 5:30pm, when festival attendees will enjoy stellar performances from SIX musical acts all vying for the top prize! 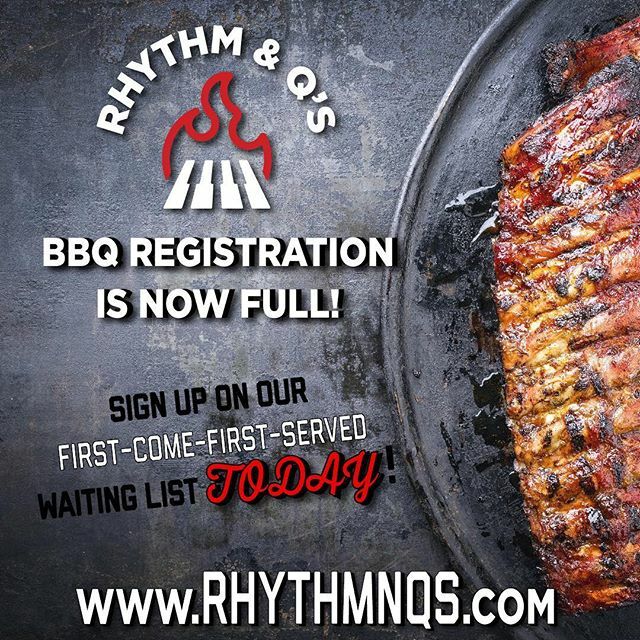 The official Rhythm & Q’s BBQ and Live Music Awards Ceremony will begin at 6:00pm, when BBQ & Live Music Competition WINNERS will be announced & celebrated! After a WING DING Friday & a HOG WILD Saturday, it’s still not time to stick a fork in it & call it done! A headlining musical act to be announced will close the weekend with a BANG!